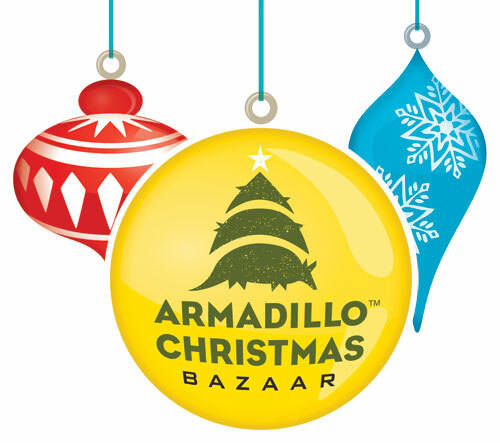 No matter how you celebrate the season, don’t miss out on what has to be one of the nation’s best collections of music and gifts galore at the 40th Annual Armadillo Christmas Bazaar December 15 – 24, from 10:00 a.m. to 10:00 p.m. (daily) at the Palmer Events Center. It’s known as the state’s longest running art and music festival that appeals to every edge of our vibrant community in Austin. From hand-made collectible art to modestly priced stocking stuffers and from the smart to the weird, there are 160 artists on tap to solve any shopping challenge one may have. And if shopping is not on your list, no problem. This year’s line-up for musical talent touches genres for the young, the old and in between. According to the media who annually cover this holiday festival, at least three bands per day will perform on the Armadillo stage … with a star-studded music lineup that reads like a who’s who of Texas music. The 31 performances range from new and emerging stars to local legends, as well as Grammy winners. Want to know more about the talent? Follow the Armadillo Blog for some super insight about the super star line-up. Tickets are $8 for a single-day pass which is available at the door or in advance online. For the best value, purchase a season pass which allows for entry throughout the duration of the show. Children 12 and under are free. For all the specifics, visit armadillobazaar.com.